Two trips before I’d stopped, only to find that they were closed that day. 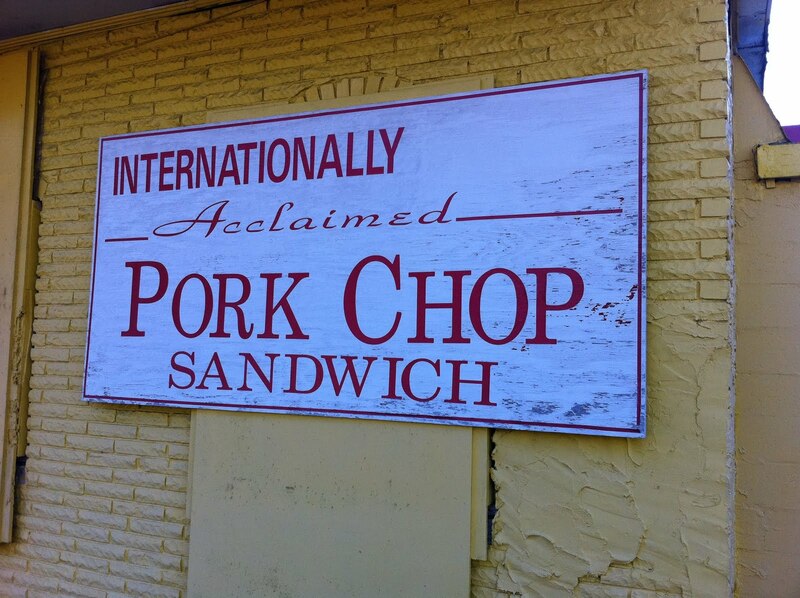 When a place has an “Internationally Acclaimed Pork Chop Sandwich”, how can you NOT stop? So I picked up a pork sandwich and a chili dog. 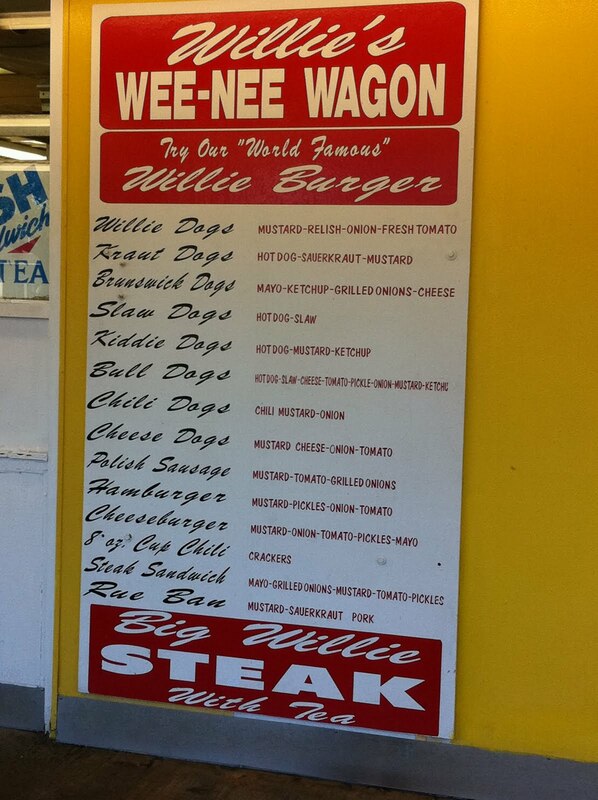 The menu was pretty expansive. The place has a little bit of inside sitting, inside the screened porch where you pick up your food, but is mainly surrounded by picnic tables. 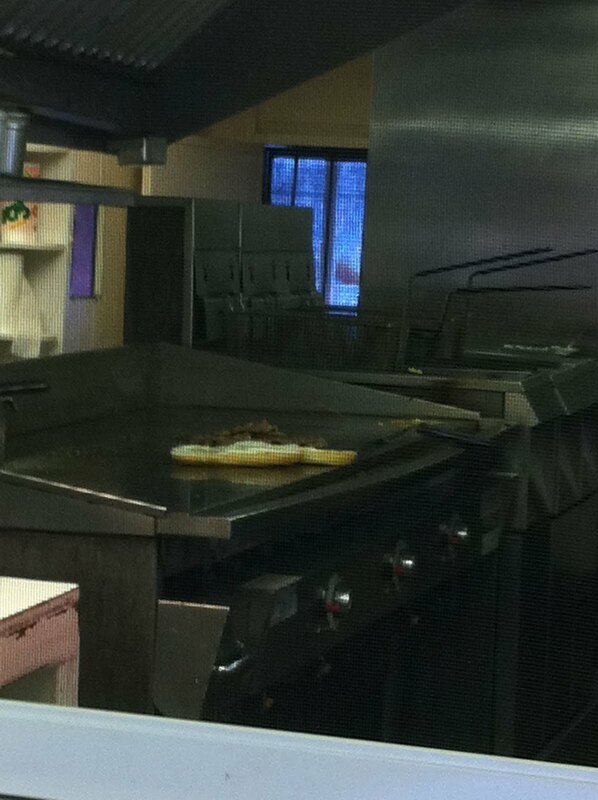 Slap in the center of this grill is my pork chop sandwich. 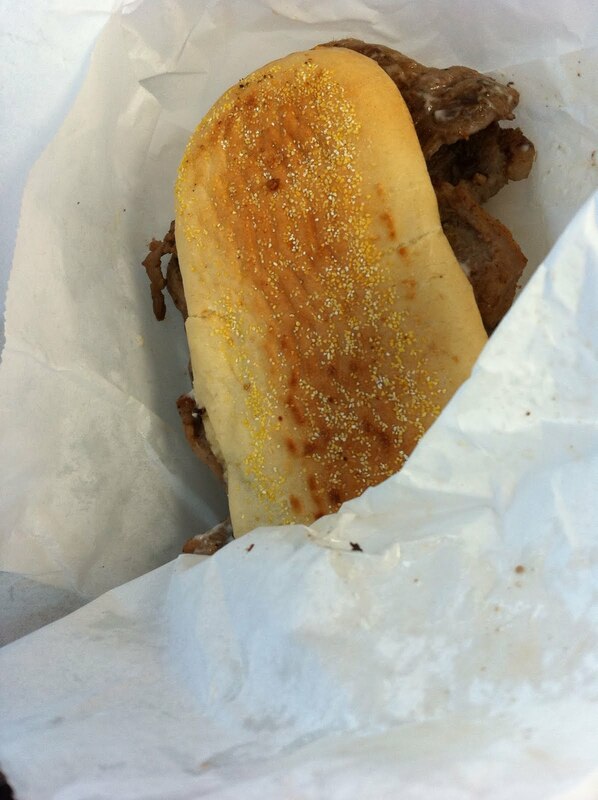 It’s really quite simple: sliced boneless pork with grilled onions and mustard. I’m just NOT an onion guy, and I generally only like mustard on chili dogs and chili cheese burgers, so I ordered mine with mayonnaise and no onions. It was everything that everyone proclaimed it to be. As I was in a hurry to catch a plane back home from Jacksonville, I actually ate this AND the chili dog driving down I-95. Amazingly, I didn’t spill anything on my shirt. On my next trip down, I did try a pork chop sandwich with mustard instead of mayo. I know why they make it that way now.